We specialize in historic, modern design and aesthetic restoration by blending your home's architectural and traditional elements with custom touches of design, detail color and function. 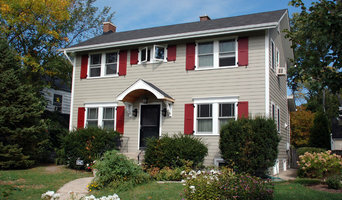 We improve your home's curb appeal by installing top quality windows, roof systems and siding. We help you achieve the right solutions to bring lasting comfort to your valued home! With a philosophy of delivering the highest quality and best value for customers, it's no wonder Schaaf has grown to become Chicagoland's largest in independent window company. Serving the northwest Chicago area since 1964, LaPelusa Home Improvement, Inc. is a family owned and operated remodeling company providing a full range of home improvement services. With 125 combined years in the window and door business, we’re a household name west of the Rockies, and our reputation is quickly making its way across the rest of the country. *Authorized Mid Continent Cabinetry Dealer* Since, 1976, Lakeland Building Supply has provided, serviced and supported quality building materials. As a leading provider of cabinetry, windows, doors, siding, decking materials, and kitchen and bathroom cabinets, we are happy to provide a custom solution for your next remodeling project. Our incredible team strives to meet or exceed the highest expectations from the large production builder as well as the individual custom client. Lakeland is dedicated to: - Quality wholesale products - Competitive pricing - Complete on-time deliveries - Prompt, perpetual and professional service - Customer Support Please stop by our showroom in Gurnee, IL or give us a call today at 800-948-8047. We look forward to helping you with any home improvement or remodeling needs you may have. The words that best describe us are: quality products, professional installation & dedication. Window & Door Superstore has specialized in these specific products for more than 25 years. We are a certified UNILUX Dealer & Installer. Since 1955, UNILUX’s philosophy has been: Only products of uncompromising quality must leave the factory. At UNILUX, through years of innovation and manufacturing technology we have become the market leader for wood windows in Europe. UNILUX windows, made from either wood or plastic, are aluminum-clad and offer state of the art performance in matters of energy efficiency, security and sound insulation. - Fine European Windows, Doors & ALUMINUM CLAD House Doors - Triple Pane Insulated Glass - ACOUSTIC / SOUND PROOF Windows with Laminated Glass - Impact & Burglary Resistant Windows, Doors and Laminated Glass - Our Advantage - Brand advantage 1: Durability Ever since its early days, UNILUX has always used the highest-quality materials. Down to the finest detail: instead of the inferior silicon, we use smooth glazing seals made from synthetic rubber. Brand advantage 2: Freedom of design Choose from three designs (LivingLine, ModernLine, DesignLine), five fine woods (pine, oak, alder, larch and exotic wood), 187 wood finishes, 2,132 different aluminum colors/patterns, 34 handles and several double-pane and triple-pane glass types. And let’s not forget: the most diverse window shapes (they don’t always have to be square), and, upon request, true divided, simulated divided and internal grids in various sizes and styles. Brand advantage 3: Energy efficiency Each of our aluminum clad wood products has state-of the-art, warm-edge spacers between the glass panes, ensuring better thermal values, greater comfort near the window, and significantly reduced condensation build-up during colder months. Heating costs can be further reduced through highly efficient triple-pane glass with a thickness of at least 11/2”/40 mm (SuperThermo3, UltraThermo3, ThermoWhite3). Brand advantage 4: Safety All UNILUX locking parts are made from high-quality materials. Mushroom pins are also a standard feature of all our aluminum clad wood window fittings. For maximum protection, we offer the SAFE range (with the option of P2A laminated safety glass, DIN-certified by the German National Authority on Fire Arms and Ammunition) and special alarm systems. Brand advantage 5: Service UNILUX only works with expertly qualified window specialist retailers. We also ensure prompt, correct installation, and will be available at any time if you have any service-related needs. With years of experience in the exterior remodeling industry, we are the experts you need to take care of your home. We handle everything in regards to new window installation, sliding patio doors, and front entryway doors. 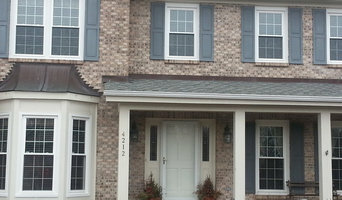 In addition, we can serve you with your roofing and siding projects. We will treat your home as we would treat our own. 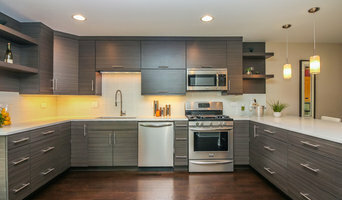 Give Remodel Go, Inc. a call today, we look forward to working with you! 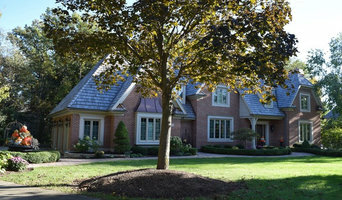 Ultimate View Windows is a family owned contractor built on trust, integrity and quality workmanship. Our team has over 25 years experience installing windows, siding and doors throughout the West, Southwest, and Northwest Suburbs of Chicago. We are a home improvement construction company that believes customer satisfaction is a top priority. There are many contractors out there with gimmicks and price gadgets that take advantage of home owners. Our staff is committed to helping you make an educated decision on your home improvement investment. Ultimate View Windows has a wide range of replacement windows, vinyl siding and entry doors to choose from that will beautify your home while also making it more energy efficient.